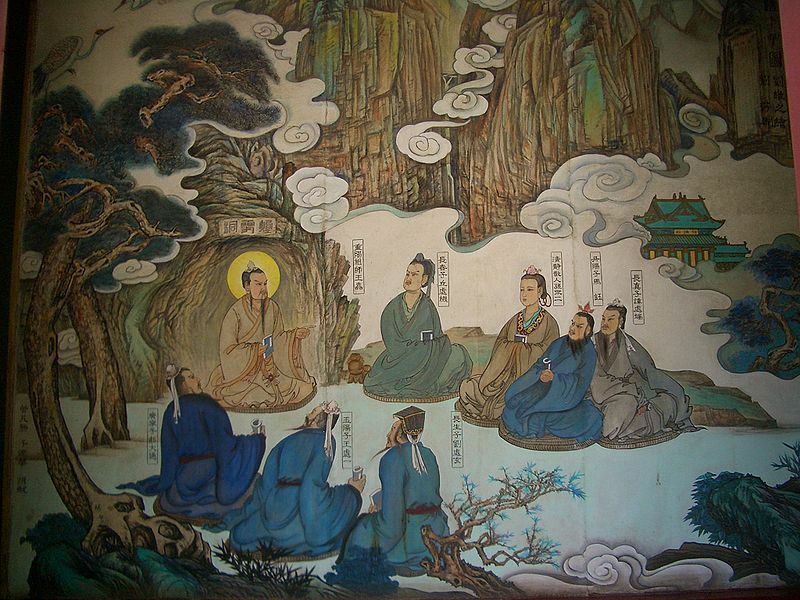 Zhen Dao School (or, in Chinese, Zhen Dao Pai – 真道派) is a Chinese tradition of spiritual and physical self-improvement, which belongs to the Higher Way, and is the one that has saved formerly confidential methods of an ancient art of Daoist Immortals. All the practice of the School is built in accordance with Daoist principle of simultaneous cultivation of body and spirit. It lets an individual follow the Way of self-improvement the most harmoniously and optimally, starting with small-scale results (health promotion and internal harmony attainment) to the main purpose – liberation of consciousness and comprehension of own Original Nature. Study program includes learning methods of work with energy (Qigong), corporal practices (Dao Yin, Taiji quan, Xing yi quan), breathing practices (Tuna), and, what is the most important, the core of Daoism Tradition – practices of Inner Alchemy (Neidan). Art of sleeping (睡功) (practice during sleeping). Among these three units Art of inner calmness is the main one, as it is a basis for studying External mastership and Art of sleeping. Art of External Moving (外动功), is a foundation and preparation stage for studying “Art of Quietness”. In the same time, “Art of Calmness” allows to cognize all the depth of the “Art of External Moving”. This unit includes different dynamic and static practices that are not considered as Inner Alchemy methods. That is why this art is called “external”, notwithstanding inner work with life power and consciousness. As a result of an accurate practice, harmonious and balanced circulation of Yin and Yan is achieved. 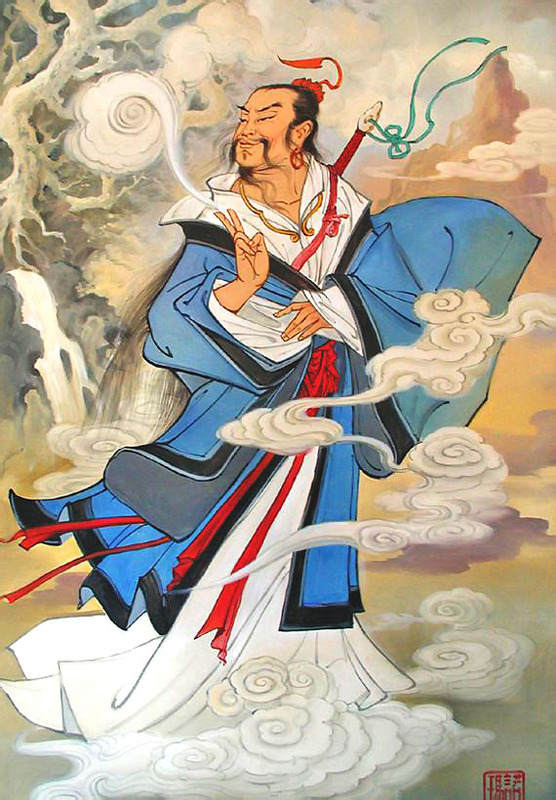 This unit is comprised by such arts as: Dao Yin, “Mastership of curing diseases and health maintenance”, “Mastership of walking”, ”Mastership of Wu Shu”, “Mastership of Qi exchange with natural powers (of Sky, Earth, Sun, Moon, stars, trees, mountains, water etc.) etc. For example, Wu Shu Mastership is a good training for a physical body, energy system and consciousness. The certain style of Wu Shu that is studied depends on a Master only. It is important to understand that, especially on the initial stages, disciples essentially need active bodywork, where dynamic practices of regulation of Jing, Qi and Shen are present, as it is one of the stages of “laying a foundation”. Ignoring this unit renders difficulties on the way of disciple’s self-improvement, as a weak physical body, unprepared energy system and weak consciousness simply would not allow reaching significant results. If a disciple neglects or, because of some reasons, does not practice dynamic forms, his progress in learning Inner Alchemy methods will slow down. This is due to the need of practising both static and dynamic practices of Inner Alchemy to learn the Daoist tradition completely. In such a way, complex approach to a development of a human being is realized, and not a lop-sided training of either consciousness or body. Art of inner quietness, or Mastership of sitting calm (静坐功) is one of the greatest achievements of Daoist tradition. All methods of this unit are exercised in a state of stillness, sitting with legs crossed. The core of these practices is made by meditation practices (打坐) that assume sitting “in rest and silence” (静坐). These methods also received the name of “Inner Alchemy” (Neidan), and namely they assist in significant change of body, energy and Spirit of a human being. It is worth to say that Inner Alchemy is quite considerably differs from the methods of ordinary Qigong. Thus, whereas methods of Qigong work with ordinary Qi and aim to strengthen a good physical and psychological health, practice of Inner Alchemy’s use of original Qi can lead to a full realization of ones spiritual potential and comprehension of his True Original Nature. That is exactly why Inner Alchemy is the core and basis of Practical Daoism. In Zhen Dao School, ancient methods of Inner Alchemy are taught, which is what makes it a full value system of Practical Daoism, and not a simple school of Qigong. The word “Qigong” may also sometimes be used due to a wide popularity of the term, which helps to locate Zhen Dao School among the variety of modern systems and doctrines. Each of vehicles consists of a certain number of levels and methods. This level-based structure was constructed by the Grandmaster Lu Dongbin around 1000 years ago, and was set out in the treatise “Complete Method of the Spiritual Jewels” (灵宝毕法, or Ling Bao Bi Fa). This text is one of the core texts of the Zhen Dao School’s unit of Art of Inner Quietness. “Practice during sleeping (睡功), or Art of sleeping”. Similar to the Art of External Moving, the Art of Inner Calmness is what makes its basis. Unit “Mastership of sleeping” was developed to allow improvement 24 hours per day – it is the one, which helps to continue the work started in daytime, and do it at night. Many methods of this unit were developed by the Immortal Daoist Chen Tuan (陳摶), or Chen Xi Yi (陳希夷). Lu Dongbin “Antheming of the Method of “Sleeping Dragon” (詠蟄龍法). Herein, a special attention is paid to a specific alchemical work, which is conducted in prone position, where sleeping in its usual understanding, as well as dreams, is absent. Methods of work in this unit in Zhen Dao School are explained in detail and given only on retreats and seminars devoted to this unit in particular. Unit of the Art of Sleeping (睡功) also contains methodology connected with practice of lucid true spiritual dreaming (梦功), aiming to a specific work with the soul Hun (魂). Therefore, the main target of this practice is development of the spirit (Shen), in order to cognize different levels of reality and illusiveness of perceived with the help of a special internal work. There is one more aspect of “Mastership of sleeping” – studying with your Master. In Zhen Dao School methods of transferring knowledge during sleeping exist. On a certain stage of practice, Master can come to his disciple to teach him new methods of improvement. It can be the Master who teaches you currently (i.e. embodied personality), as well as Masters from the Higher World, connected with this Tradition. Received know how can further be transformed into a physical body, but this process requires additional Qi. 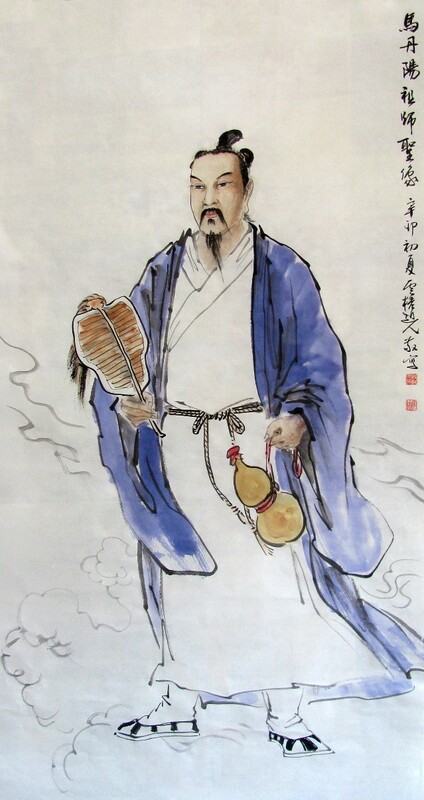 Sources of Zhen Dao Practical Daoism School (真道派) root back to one of the greatest Masters of Daoist tradition – Immortal Lu Dongbin, and his disciples Wang Chongyang and Liu Haichan. At the moment Master Lu Shiyang (吕實陽) is the Grandmaster of the School. He lives in China, where he has several disciples. All his life he was taught traditional practical methods, where studying was based on incredibly harsh rules and demands for practitioners. He had treated his disciples in the same way. Therefore, particularly because of this, the number of disciples could not be large, as practising for hours simultaneously, without being explained why you should do it “in this way”, “why it is correct in this way”, and where, if you have not understood it by yourself, “it means that you are yet practising not well enough”, is not an easy task at all. In 80s of the twentieth century, after the “cultural revolution” in China Qigong and different types of Wu Shu became widespread. However, in 1999 members of Falun Dafa School organised a mass scale demonstration on the main square of Beijing, aims of which yet stayed not intelligible. In reply to this, Chinese authorities decided to take under a special control activity of all schools of psychophysical improvement, and some of the schools were even forbidden. Just before these events many Masters, foreseeing such actions, had either left the country or went to the mountains and kept a low profile. Grandmaster Lu Shiyang also had known about forthcoming events. Having a target of a wide spreading of Daoist Doctrine, he realized that China had no suitable conditions for it anymore, by contrast to the western countries, where knowledge of this type is highly sought. He looked for people that would have great abilities to study Daoist Tradition and would have potential. Luckily, one of the disciples of Lu Shiyang – Zhang Baishi – knew Russian language to a certain extent, and periodically visited Ukraine for his business. Possessing the Higher Wisdom due to his mastership and knowing whom and for what they were looking for, Grandmaster Lu Shiyang and Zhang Baishi came to Ukraine in 1998, where our meeting happened. On the same occasion my studying of Daoist Inner Alchemy under the guidance of Lu Shiyang started. Basing on own long-term practice, by assent and with help of Master Lu Shiyang, I organised all transferred knowledge into an intelligible and clear system. The process of organization was unavoidable, as teaching in ancient times and nowadays could not stay the same. Meantime, it was made within the frames of a certain structure and criteria of Daoist tradition. Now the time of the “Way expanding” has come, which means that the system should be accessible (but not simplified!) for studying of a greater number of people, however, without loosing its roots and deepness. In such a way it would be good for those who needs health and longevity (initial level of studying), as well as for those who aims to release from the circle of reincarnation and to reach a spiritual enlightenment (higher levels of studying). At the moment Grandmaster Lu Shiyang (吕實陽) lives as a hermit in the mountains.